Mini servos for the wings. 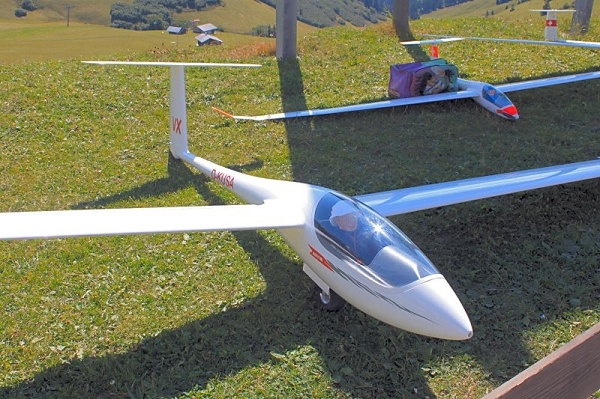 The ASH-31 manufactured by Schleicher, is a high performance single seater open class (25-26m) glider and is superseding the successful ASH-26. The ASH-31 Mi will be the self launchable version. 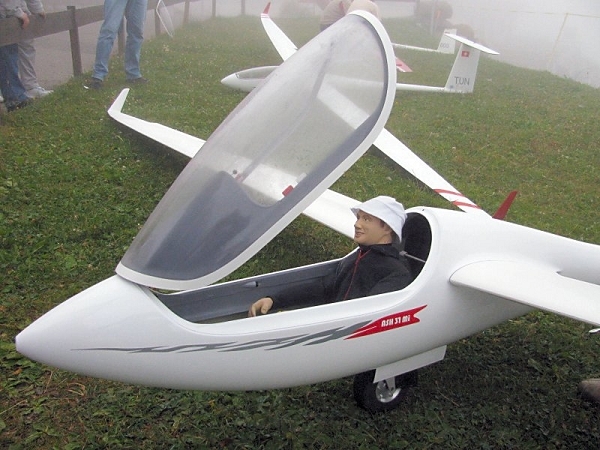 Now, we at ICARE are very proud to offer here this (1:2.5 or 40%) super-scaleTM reproduction of this high end performance glider. 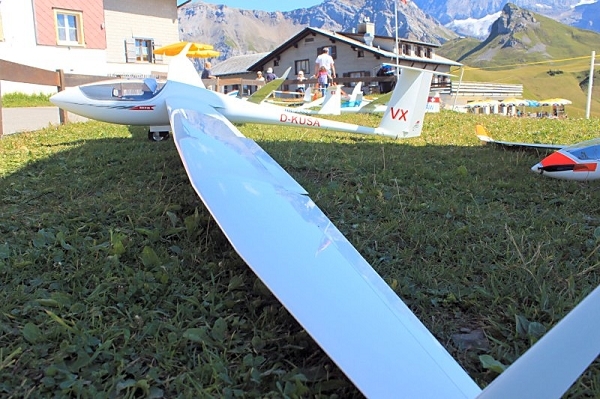 Never flown such large glider, you will get the ultimate soaring experience with this high performance glider and be surprised how docile this glider is in the air, an outstanding performer. It will allow you to explore all the soaring capability, from smooth graceful thermalling to the taste of speed and light aerobatics. Its smooth behaviour makes it a great candidate to amazing distances for scale cross country flying. Again: ultimate soaring! This glider comes completely built, and ready for radio installation. Only a few hours are required, before you go to the field. The hollow moulded wings is in two pieces each side and is fully glass and double carbon reinforced and white painted in the mould. Wings are coming with two sets of moulded wingtips to accommodate both wing spans. Airbrakes are installed and ready to be connected by the mean of a mini servo. Ailerons and flaps are hinged ready to hook up. The scale detailing of this model is truly outstanding. The wing roots form a gentle curve as per the original to perfectly match the fuselage. The super strong wing joiner system is made up of two interlocking spar extensions that attach to a bulkhead in the fuselage with a single pin, just like the full-scale counterpart. The cockpit features the full size opening mechanism. Interior is fully detailed with all main components like the instrument mushrooms, seats, head rests, seat belts and even a flight map, it is the most detailed cockpit ever made. Landing retractable wheel comes with brakes is installed and ready to work, like the tow release. A small package hardware and short building instructions are completing the kit. 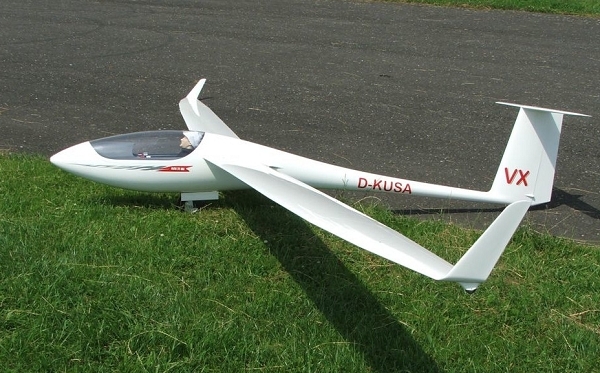 If you would like to venture into large scale gliders this ASH-31 is a must! We of course also offer the self launchable ASH-31Mi, it will come with the 22" belt driven unit or a AFT 25, it will require a 10S LiPo pack. 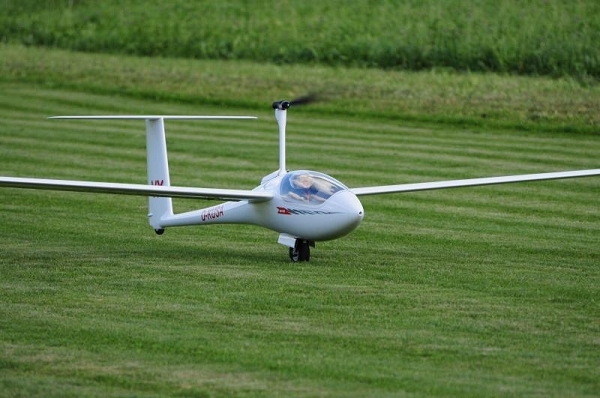 It will take off the ground with ease and give you at least three full height launches. Radio requirements are high torque min i and std size servos for the ailerons, two for the flaps and two additional servos for the airbrakes. Four regular servos for the elevator, rudder and retract. Additional servos might be installed for aerotow and water ballast. 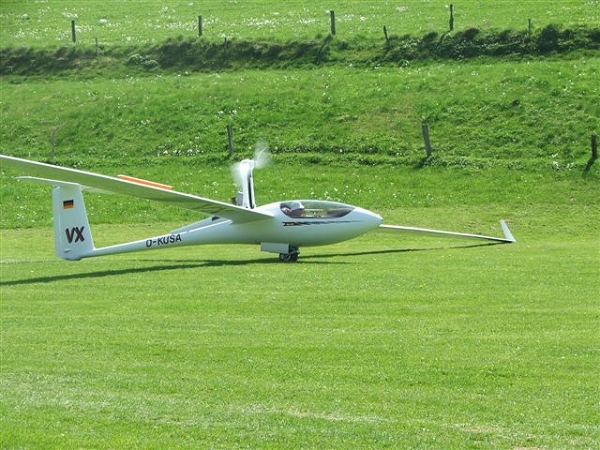 ASH-31Mi (7.2 - 8.4 m) FG (all moulded, double carbon) RTF self launchable glider kit, price: inquiry for quote!